Hairston was a medical assistant for Planned Parenthood in White Plains, New York, when she became pregnant in 2017, according to the report. She said she had high blood pressure and several nurses’ notes explaining that she needed to take frequent breaks to keep her unborn baby healthy; but Planned Parenthood ignored her needs. When Ms. Hairston asked for regular breaks, including 30 minutes for lunch, her supervisors brushed her off. Ms. Hairston said she sent multiple notes from her nurse at Full Circle Women’s Health to the regional office’s human resources department, stating that the extra breaks were medically necessary. No one responded, and nothing changed, according to Ms. Hairston and the former human resources manager. Ms. Hairston’s hands and feet swelled; the clinic’s plastic gloves no longer fit. Her blood pressure got so high that her doctor put her on bed rest when she was seven months pregnant. Hairston said the discrimination did not stop there. She said she was guaranteed 12 weeks of maternity leave by the Family and Medical Leave Act, but Planned Parenthood began calling her after week eight pressuring her to return to work. She later resigned. Abby Johnson, president of And Then There Were None, who worked for Planned Parenthood for eight years, said she was not surprised by the report. “When I worked at Planned Parenthood in Bryan, Texas as the clinic director, I was offered multiple times to have my pregnancy ‘taken care of’ for fear that a baby would interrupt my upward trajectory and work performance,” she said. Johnson also could not believe suggestions in the report that Planned Parenthood cannot afford to give its employees paid maternity leave. 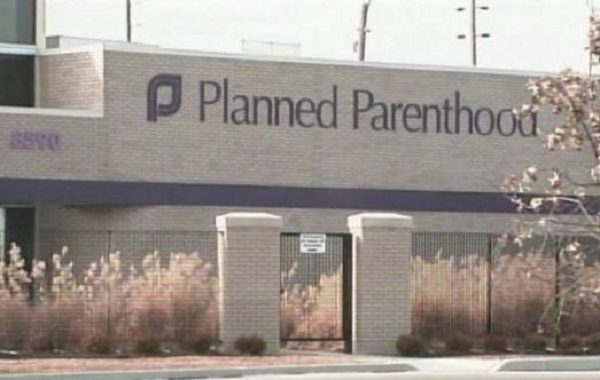 Planned Parenthood is the largest abortion chain in America. It performs about 320,000 abortions a year and receives about half a billion taxpayer dollars annually, despite numerous scandals involving potentially illegal sales of aborted babies’ body parts, Medicaid fraud and failures to report sexual abuse of minors. Its most recent annual report showed a record income of $1.46 billion. Its leaders also recently have boasted about record donations. Planned Parenthood also has been in an ongoing legal battle to stop its employees from unionizing, even relying on the Trump administration for help.